Hi! I’m Holly, from My Sister’s Suitcase. My sister Nat and I have been blogging for a little over 2 years, and we like to share simple DIY projects, home decor, gift ideas, printables, and more! We love Kristen and look forward to being a part of her Decorating with Pictures Series every year. As big Project Life fans, we are always looking for simple ways to document life with our families and get those pictures off our computers so we can enjoy them! 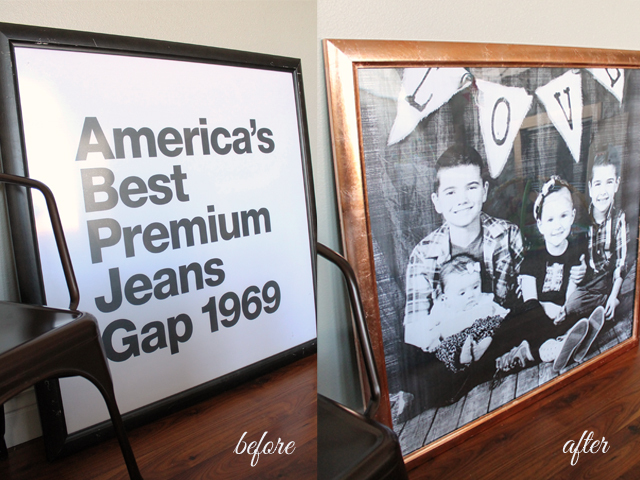 I gave the frame a makeover with copper leaf gilding, and then I added the engineering print from Staples. It cost me less than $20 for the entire project and I’m loving the final result! Come over to our blog for the full tutorial on how I edited the picture, ordered my engineering print, and adding the finishing copper leaf effect to the frame. It’s such an easy way to incorporate a touch of the copper trend into my decor! 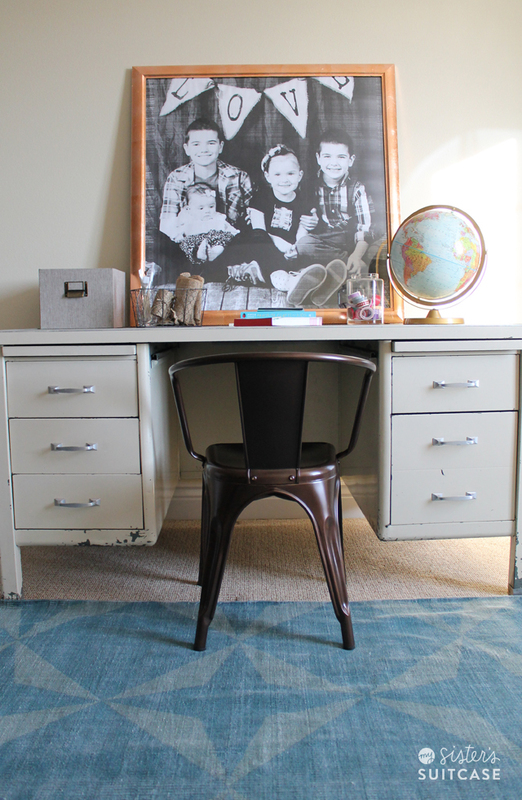 And can I tell you how much I love looking up at those sweet faces when I’m at my desk? 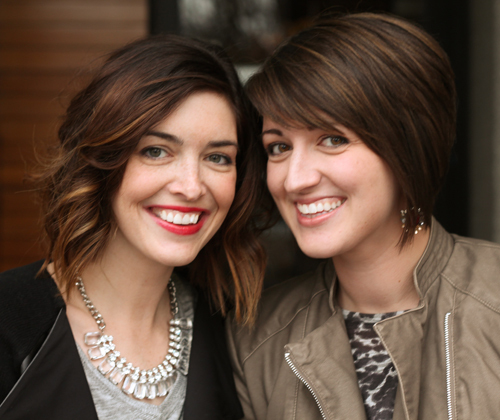 www.sisterssuitcaseblog.comThanks for having us Kristen! My friends! Thanks so much for sharing this great project! Love it, and love you two!If you’ve missed any of the posts from the Decorating with Pictures Series, check them out HERE or click on the image below. 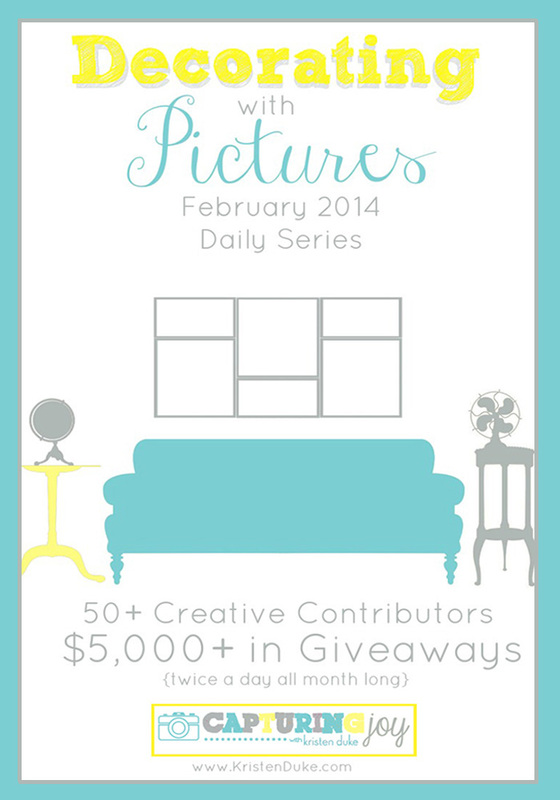 Every day in February is packed with 2 inspiring posts, each with a giveaway from a fabulous brand! (If you need help taking better pictures, in a few posts, I’m giving away my Say NO to Auto beginner camera Workshop on video AND my books as well!) Follow along in the series! Today our giveaway is from Vintage Rose Wraps. I have several hair wraps myself, I simply love these hair (and other) accessories.It only takes wearing a vintage rose wrap once and you’ll see why these fun and flirty numbers become a must for anyone’s wardrobe. These shabby and chic wraps come in all colors of the rainbow, and add just the right flair to any outfit–to make you feel vintagy, yet fresh… hip, yet humble.